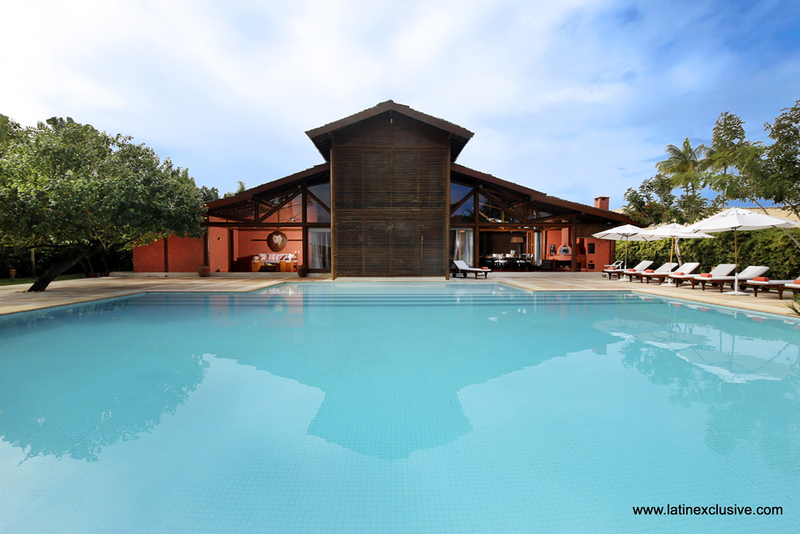 Magnificent foot-in-the-sand property with 5 houses and 6 suites in total. 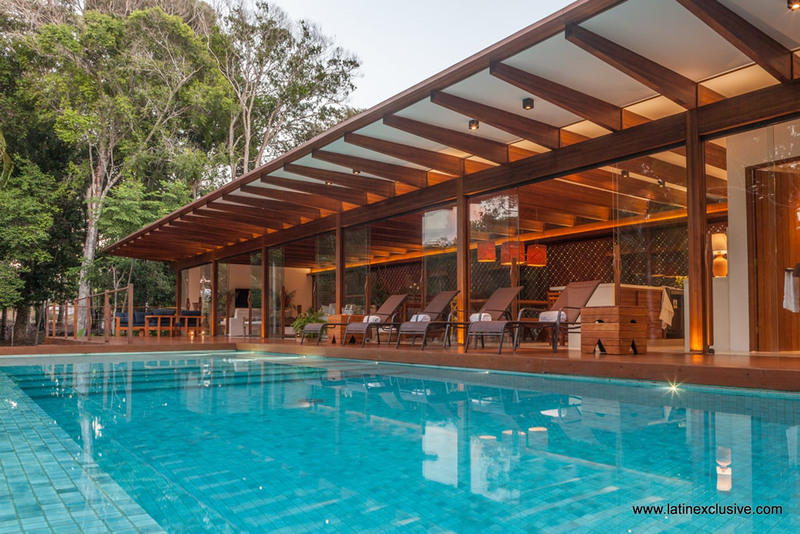 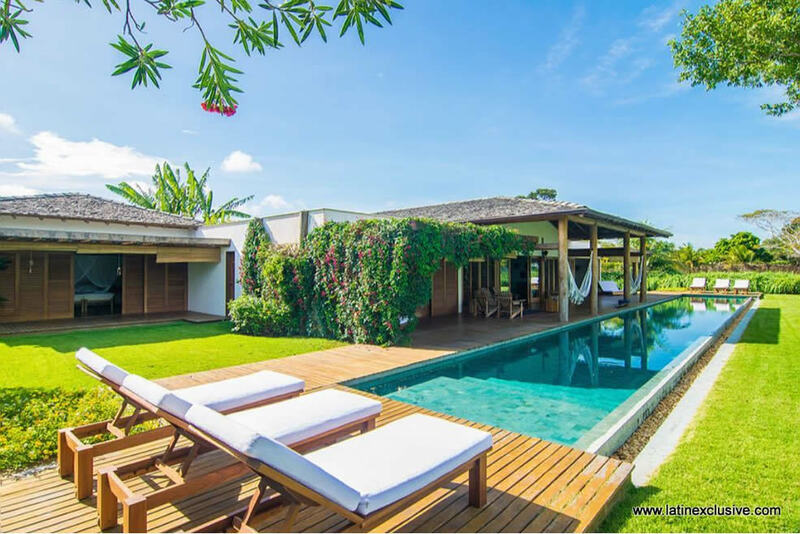 Marvel at all the architectural beauty of the houses and their social areas that include a giant swimming pool, a large lake with walkway and much more attractive surrounded by green, ensuring a complete contact with the tropical nature of Trancoso. 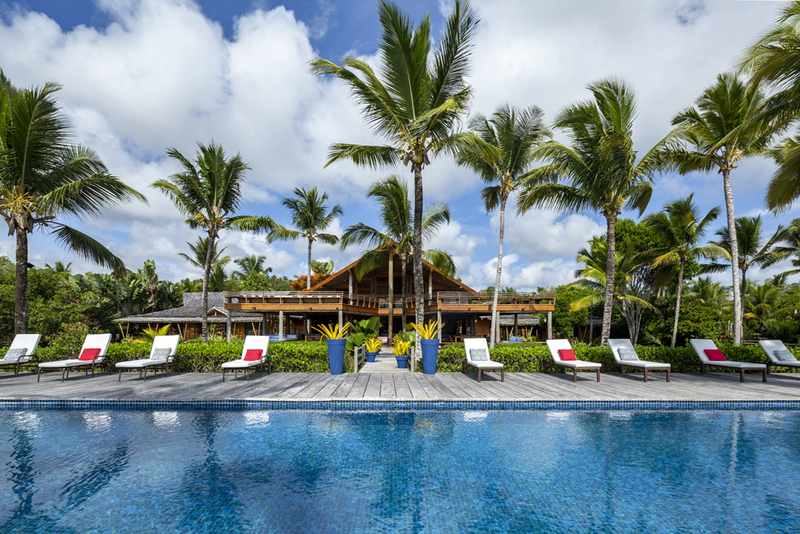 Impressive beach house of 14 en-suite bedrooms. 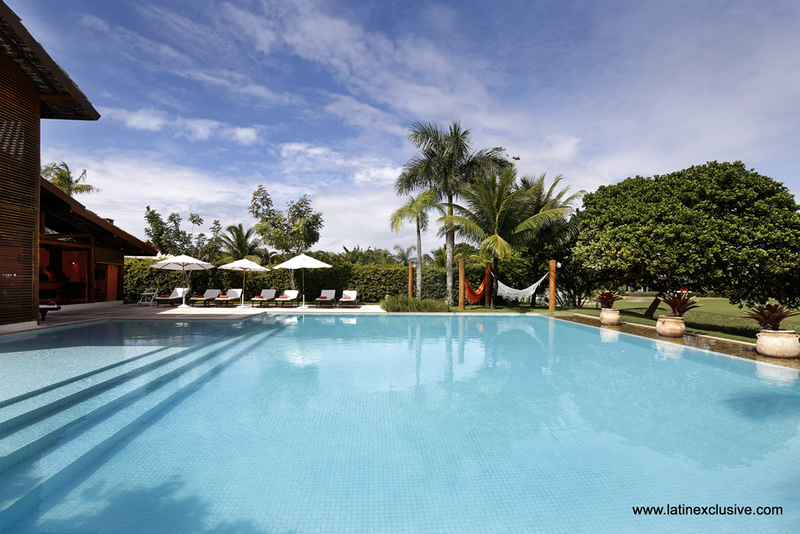 One of the best option that we offer in our Trancoso Collection. 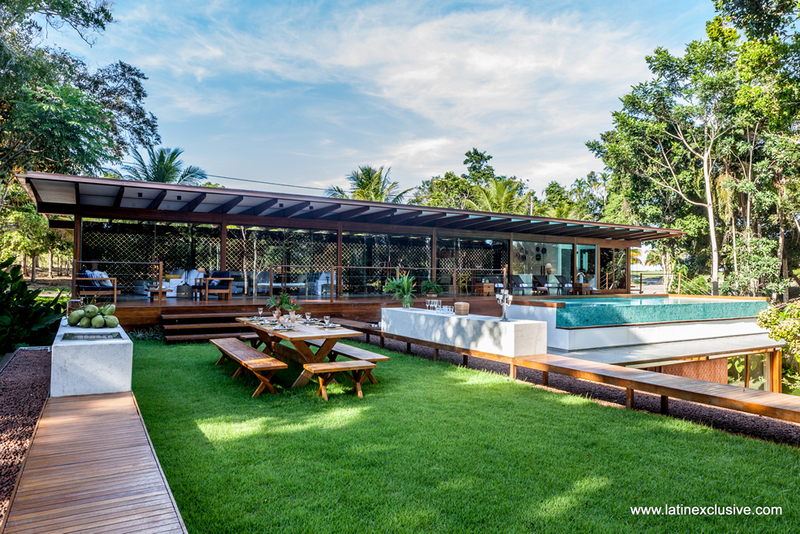 Perfect for those who are attracted to a secluded location, harmoniously integrated into the nature next to a fantastic and exclusive beach. 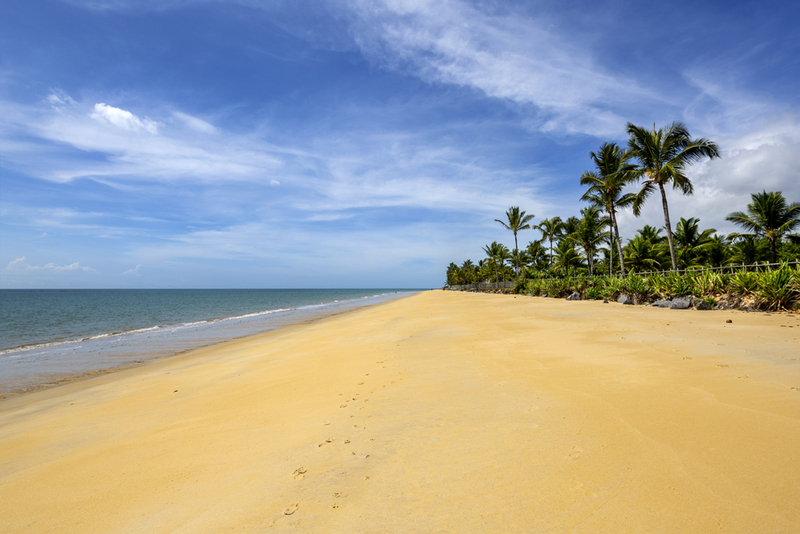 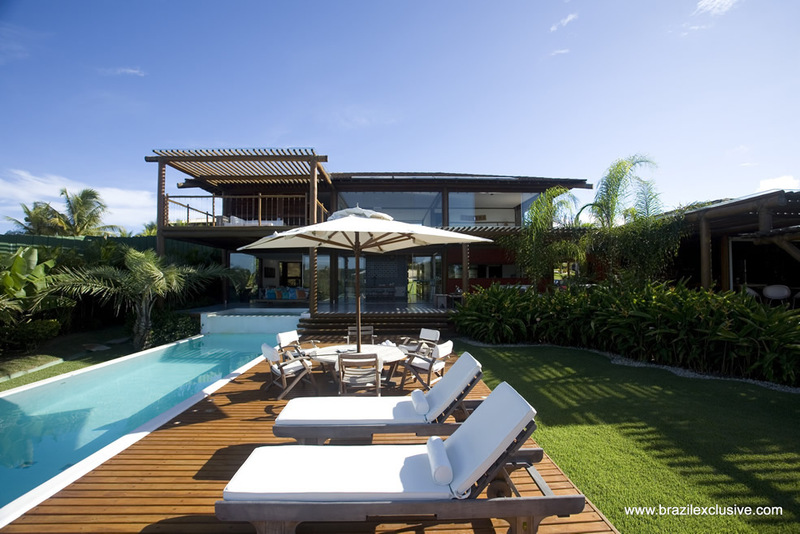 One of the most remarkable properties in Trancoso. 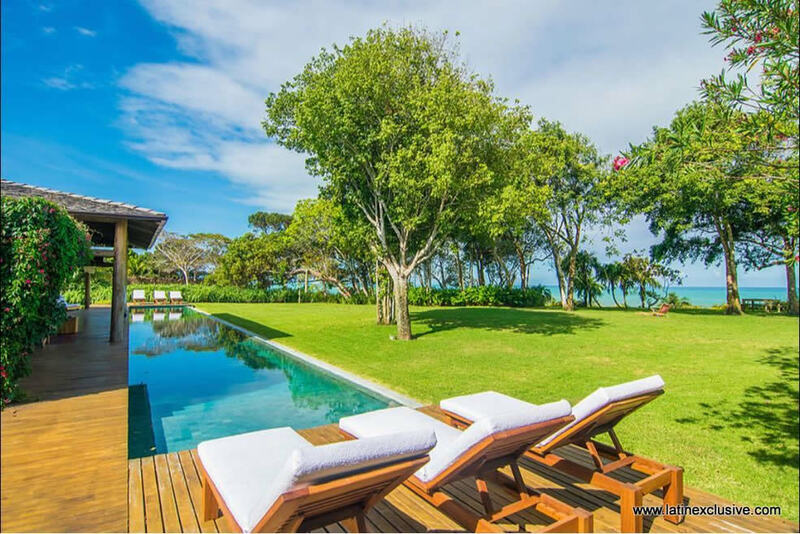 This 6-bedroom beachfront property is the ideal place for those wanting to completely relax and enjoy unforgettable moments with luxury, comfort and privacy. 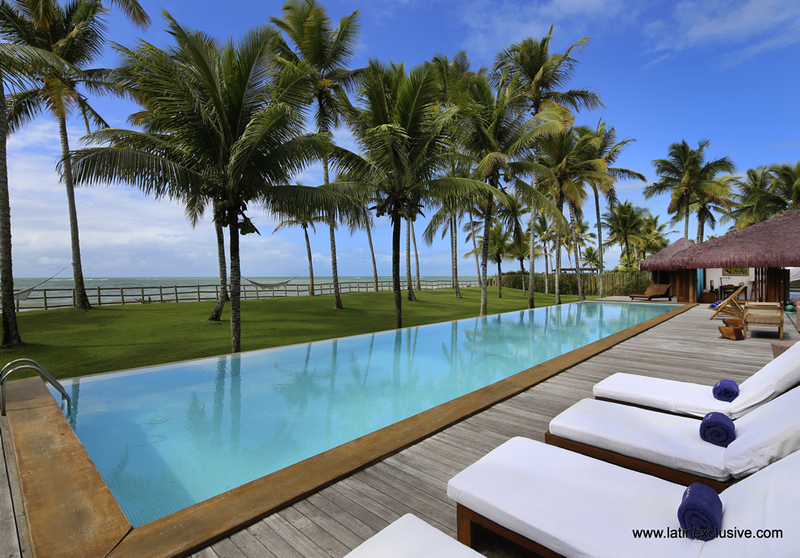 Amazing pool with view on the ocean trough coconut trees. 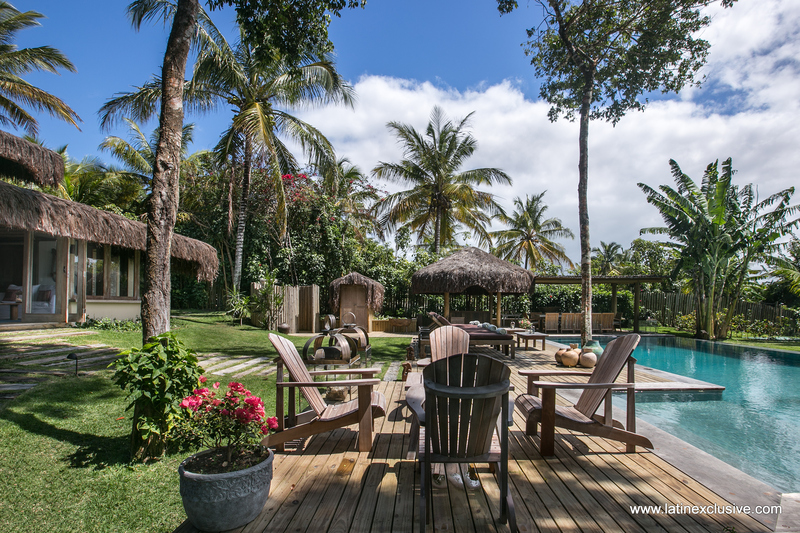 Tropical garden of 45.000m² with 150mt of beach front, stunning property perfect for event, corporate retreat or Family holydays. 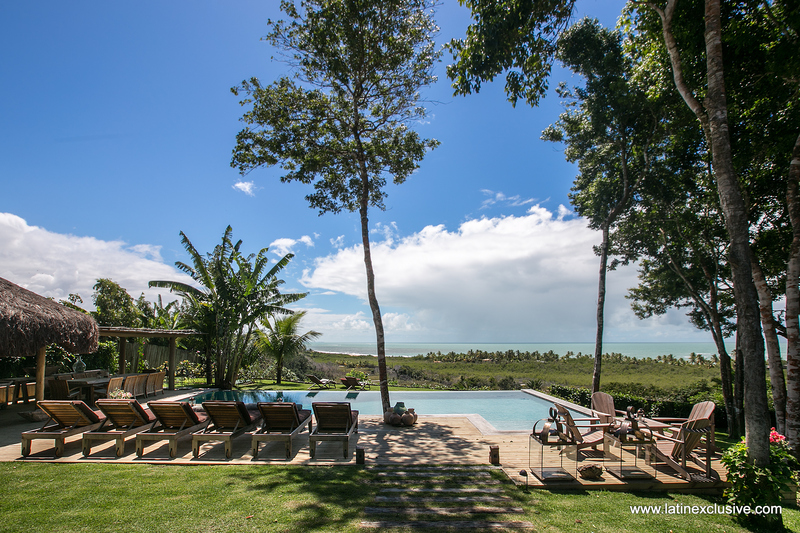 Located in "Altos de Trancoso" gated community only 10 minutes’ walk from the famous "Quadrado" and the beach. 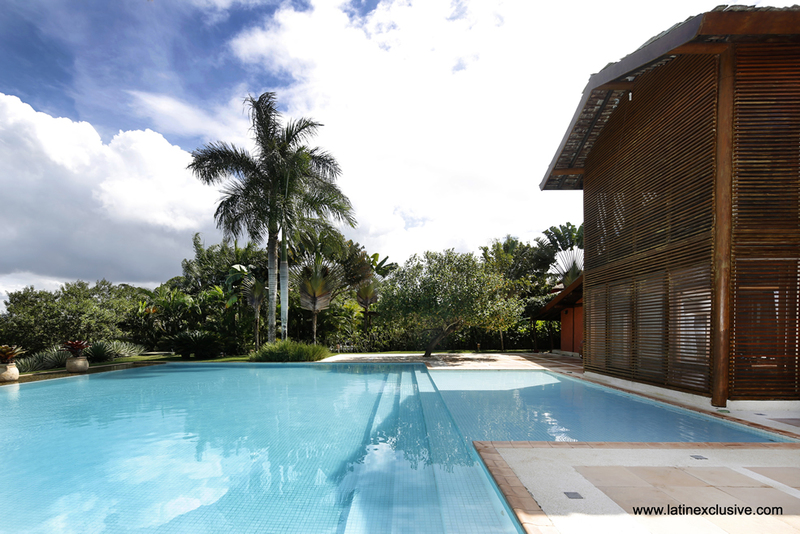 6 spacious bedrooms (ensuite), including a large master suite with a bright bathroom with bath. 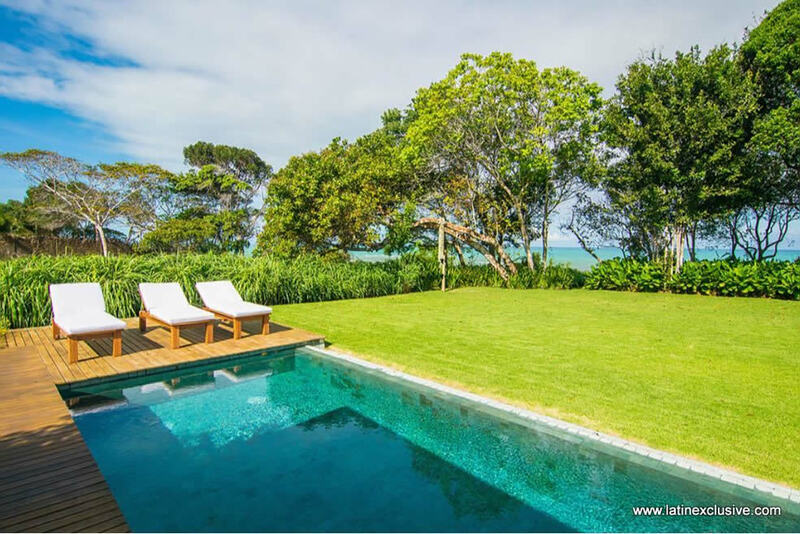 Great rainforest tree top and sea view from the 2 green roof-tops. 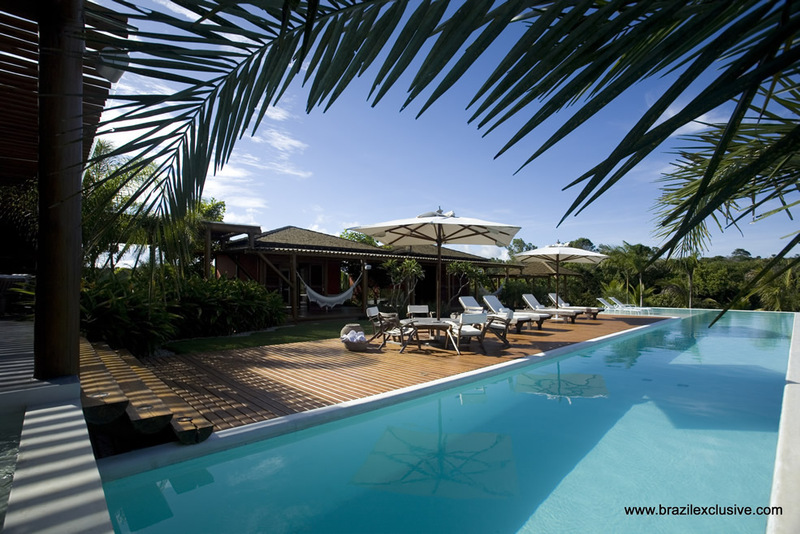 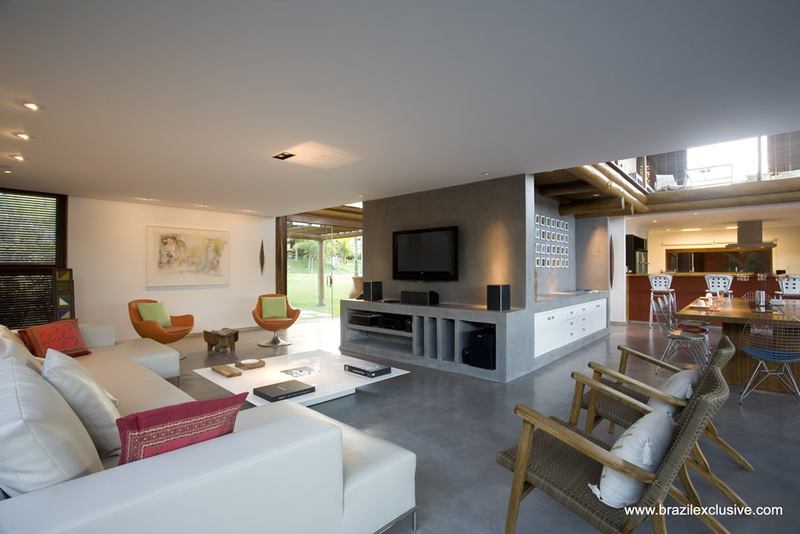 Tropical 5 bedroom property in Trancoso is available to spend unforgettable vacations. 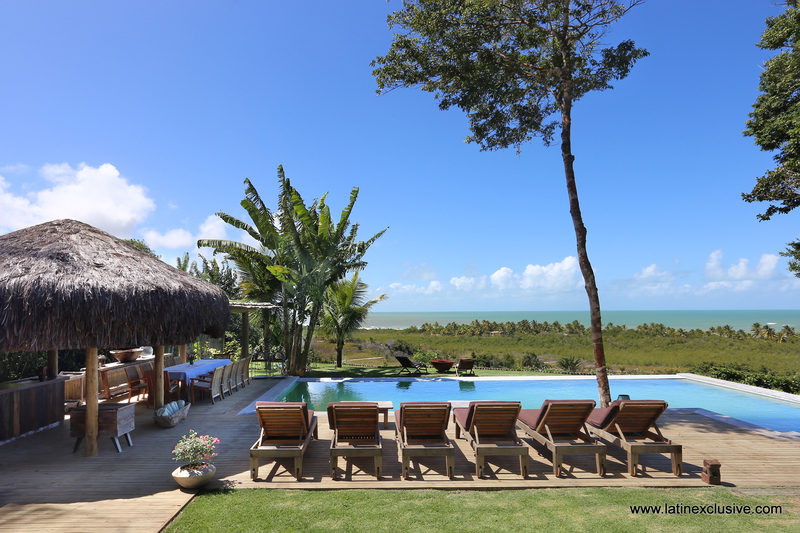 On the heights of Praia Rio da Barra, house is situated in one of the most noble condominiums of the area. 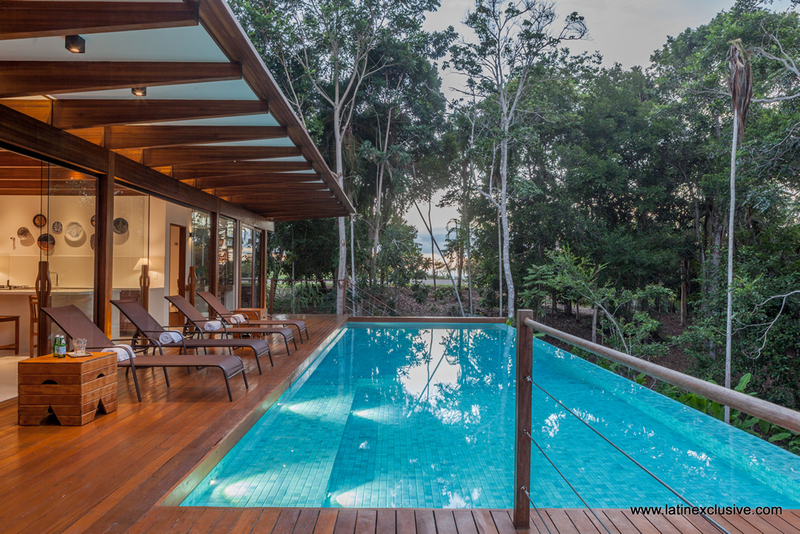 Exclusive service.